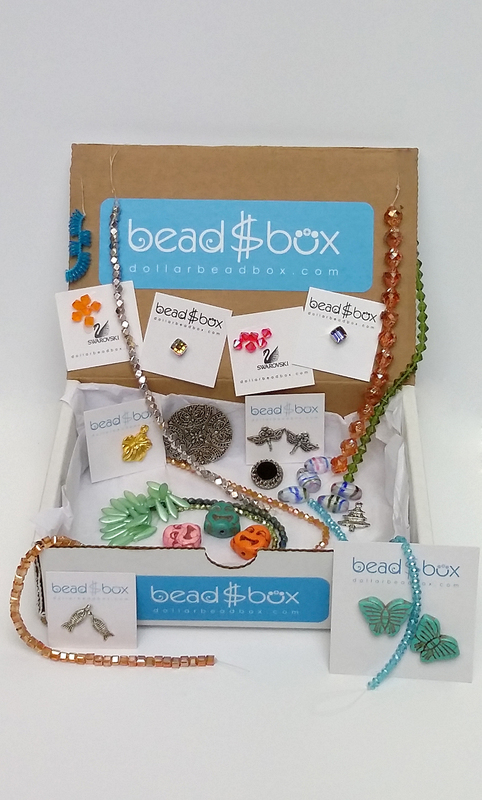 I just love the look of the smooth rounded large hole beads you find on expensive charm bracelets. So much that I showed you how to make them in a previous tutorial. 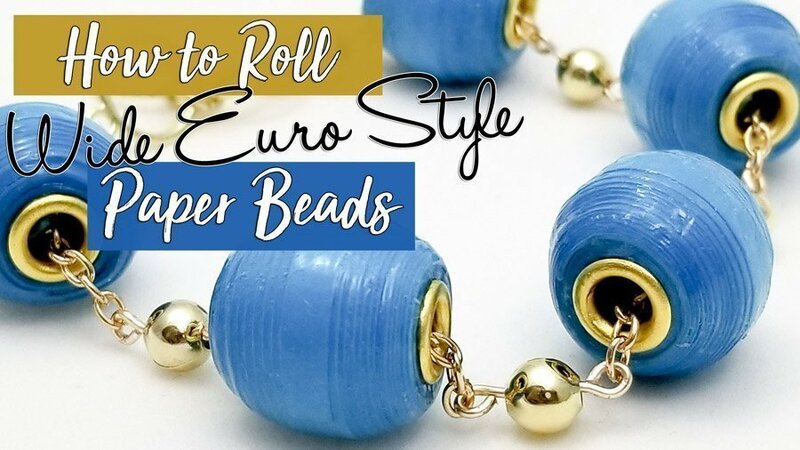 In this tutorial, I’m going to show you how to make a thicker, fatter version of those beads so you can have some variety in your bracelet. You can use the white glue, but I use Aileen’s tacky glue for putting in the bead cores. This style of paper bead looks good when done in both solid colors or patterns. 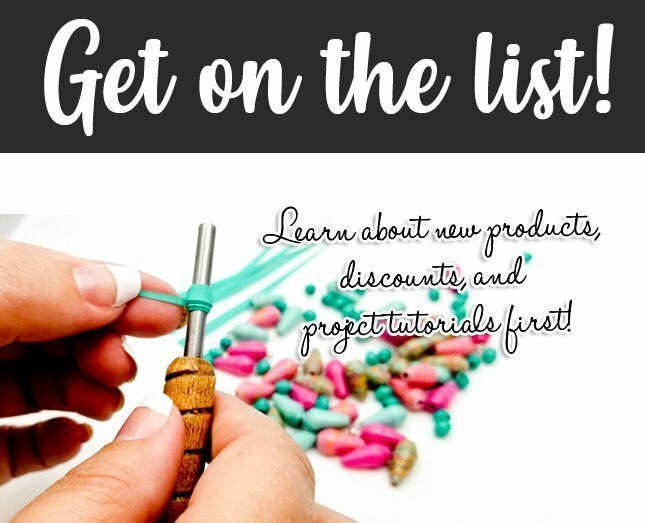 If you choose to go with solid colors, you can use colored cardstock, or you can use white paper and paint it after it’s rolled in to its final bead shape. If you want a multi-colored or patterned paper bead, it’s best to choose a pattern that has highly contrasting colors in a small pattern. If you pattern is too large, you won’t see all of the colors. To get a paper bead that looks exactly like the ones I’ve made here, you’ll need to choose a paper that is a 65lb weight. If you use a paper of a different thickness, your bead may turn out fine, but it will have a slightly different shape than mine. Don’t be afraid to experiment! That’s part of the fun in making paper beads. If you have a Brother ScanNCut and you’d like the template for this type of bead, you can purchase it from paperbeadrollers.com. The link is in the text below this video. For this project, we’re using the 3/16″ diameter bead roller. If you’ve purchased your rollers from Paperbeadrollers.com, that’s the one with the lavender end. It’s important that you use a tool that is the same diameter as the metal bead cores we’ll be adding in step 5. The 3/16 inch roller corresponds to a 4mm bead core. Now we’ll do strip 2. Glue the wide end down, the width should match strip one exactly. Make sure to keep the strip centered as you roll. Pop the bead off of the roller. Ideally, the sides of your bead are as smooth and straight as possible. You can even use the colored end of your bead roller to tap the strips into place a bit. Allow your bead to dry and glaze. I’m using Judikins Diamond Glaze to make these beads hard and shiny. Squirt some into your palette. Place the beads on a bamboo skewer and use your paint brush to apply the Judikins Diamond Glaze or whatever glaze you prefer. I like to use a flat edge brush because it gives me more control when I’m glazing near the bead core. Our bead is dry and beautifully shiny with the three coats of glaze. Now we can insert the 4mm bead cores (grommets). I am using Aileene’s tacky glue for this. You can use regular school glue if you’d like, but I feel like the Tacky Glue is a little bit stringer. Apply a thin line of glue around the bead hole, and be sure to get some inside the bead so that the core stays in place. You can wipe off any excess glue If you’d like. If you get any glue bunched up in the center hold of the bead, you can use your bamboo skewer to clear it out. 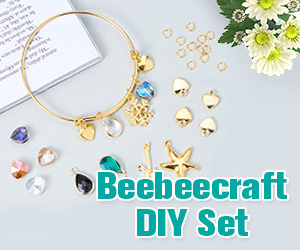 Allow the glue to dry completely and now you have beautiful Euro Style beads to make yourself a gorgeous piece of jewelry. If you liked this tutorial, head over to my YouTube channel and click Subscribe! This entry was posted in Jewelry Tutorial, Paper Bead Rolling. Bookmark the permalink.